We left Windorah this morning. Our destination was Longreach via the Thomson Development Road. The roads out here are a bit scary when they suddenly go from two lanes to one. It’s ok if there is no oncoming traffic but when you see a road train heading for you it’s no time to play chicken. We give them all the road they want. Thankfully it wasn’t raining otherwise it would have been a boggy trip! We camped at the Apex free camp just out of town. Well it was $3 per night, almost free. Wow, there were about 100 vans here. We stayed her for 4 nights. We visited the Stockman’s Hall of Fame, which was very interesting. We went for a run to Ilfracombe where they have a fantastic display of old vehicles and machinery. 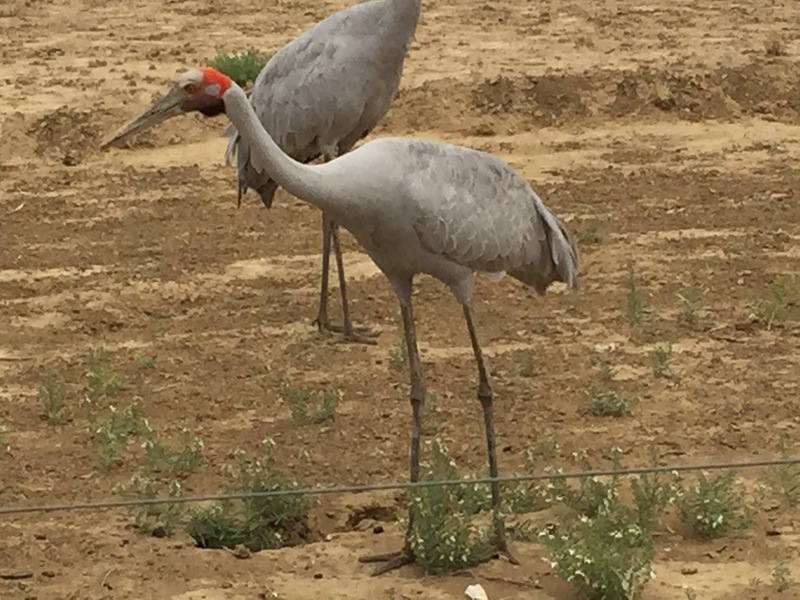 A couple Brolgas who decided to befriend us. I gave them a piece of stale bread one morning, so they kept their eye on us. As soon as they saw us at the van they would race over to us thinking they were going to get more bread. 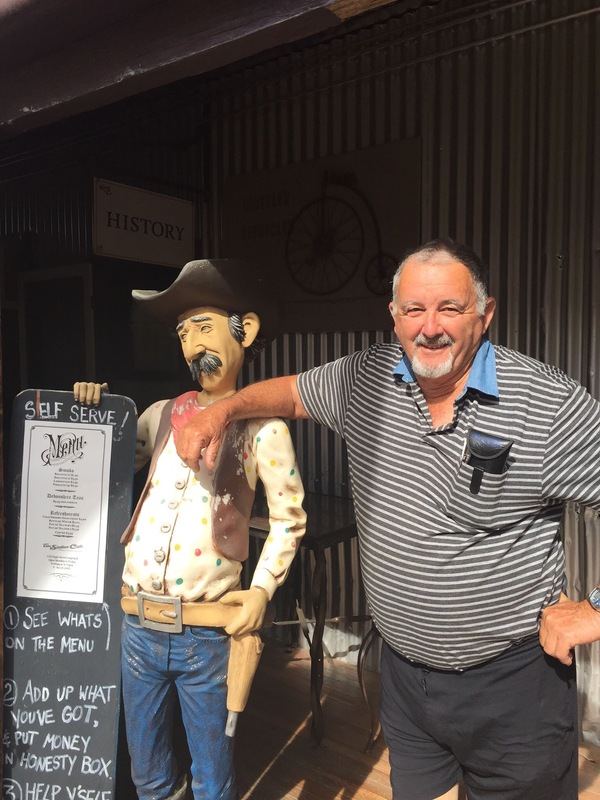 John also befriended a fellow in Longreach.